The next generation of the popular and affordable TP Series of pistols. The original TP9 set the benchmark for value and performance in a polymer pistol... and now, it's back and better than ever with a number of improvements engineered for the American shooter. The TP9SA replaces the original trigger and frame assembly with upgraded versions, and now includes a striker decocker. The new frame design of the TP9SA contains several upgrades inspired by the feedback of military and law enforcement. The grip panels and front and rear grip have two different stippling styles to fully engage the shooter's hand under any adverse condition. 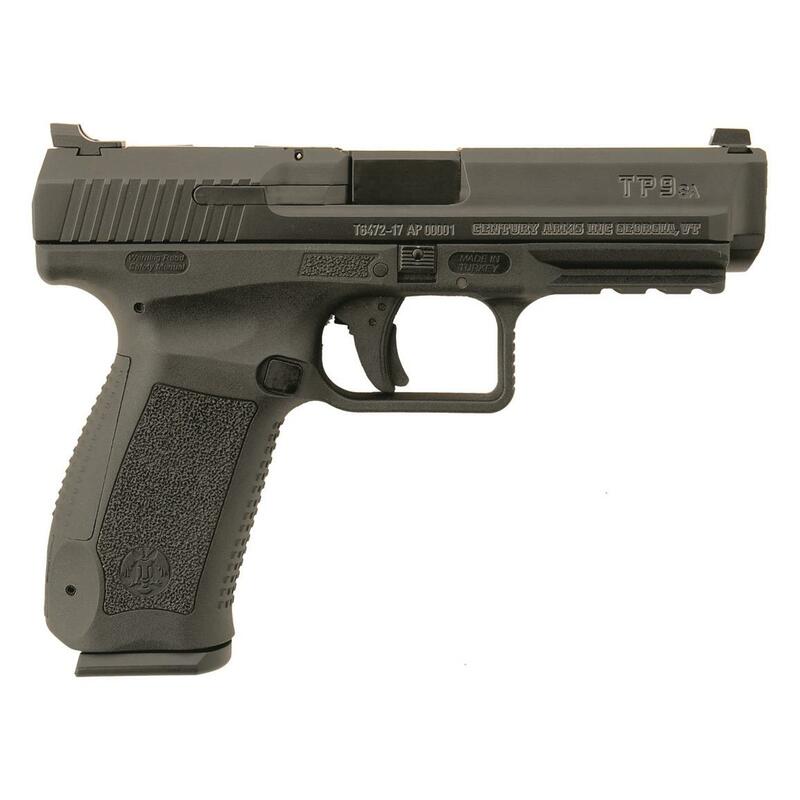 A longer trigger guard enables the operator to use the TP9SA while wearing hand protection. The grip design allows a slimmer feel while still containing an 18+1 capacity in 9mm.